Flexibility for Hip & Knee Arthroplasty procedures in One System! The SINGLE USE Pulse Lavage System has a BUILT-IN Battery Pack and is a fully disposable Single Use instrument designed for use in Orthopaedic Surgical Procedures, Trauma and general wound care. 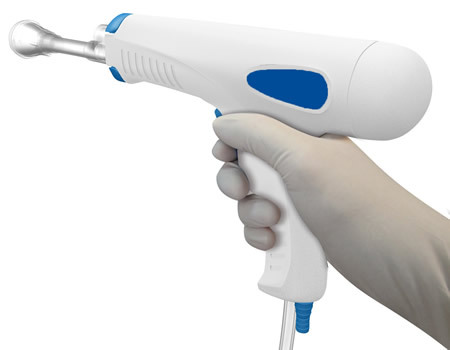 We currently supply over 60 NHS Trusts with our Single Use Pulse Lavage and have always been able to maintain high stock levels due to the ever increasing demand for this product range. We ring-fence 75% of our stock for all our regular customers and always maintain a 25% buffer for NEW BUSINESS on a first come, first served basis.